Sunday: 3 p.m., Barrister Winery, 1213 W. Railroad Ave. The Cello-Bration Quartet is visiting the Inland Northwest next week, bringing works by Bach, Ravel and Rachmaninoff to Spokane, Coeur d’Alene and Sandpoint as part of the Northwest BachFest’s Summer Classics series. 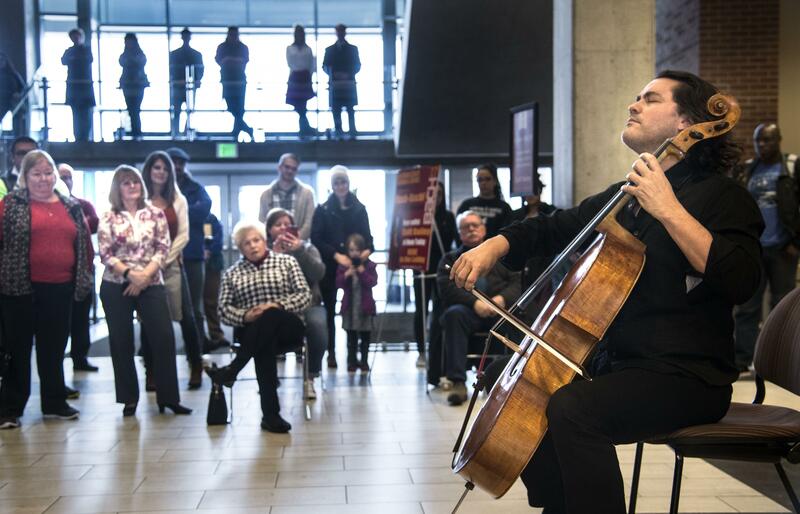 The cello quartet includes BachFest artistic director and Grammy-winner Zuill Bailey, Melissa Kraut from the Cleveland Institute of Music, and rising stars Cicely Parnas and Jared Blajian. Bailey has put together a colorful list of pieces from which he and the group will build each evening’s program. “We want it to be interactive. The names of the pieces will be written down in no particular order … (then) we’ll walk everyone through the evening by telling the stories of the pieces and the behind the scenes, what they can listen for, what they’re going to hear, and then whatever piece we want to play at that particular moment, that’s what we’re going to play,” he said. The list includes composers from the baroque, romantic and modern periods such as J.S. Bach, Sergei Rachmaninoff, Max Bruch, Maurice Ravel and Gabriel Fauré among others. Most listeners will recognize Fauré’s Pavane and Rachmaninoff’s Vocalise. The Chaconne by Bach arranged for four cellos and originally written for violin should be especially so. Bailey explained that the program was designed to exhibit the rich lyricism and intimacy that the cello enables musicians to develop. The range of music that can be performed with the cello makes for a program of a special versatility. Fostering that same kind of excitement in audiences is very important to the group.